A Hair Stylist Cover Letter to Help Win the Chair! 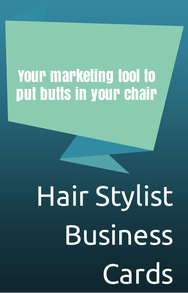 Write a Hair Stylist Cover Letter to Help You Win the Chair! Why on earth would you need a hair stylist cover letter!? Because it is going to help you win that place behind the chair! If you have been following the interviewing techniques you should be working on your hair stylist resume or have it ready by now. In addition to the resume you will need to prepare a separate page for your references and a separate page for your hair stylist cover letter. You should have between 3-5 professional references. These are ex-managers, instructors, guidance counselor, basically anyone that has a position of authority in your life and has known you at least a year. Do not use family members. Chances are high that the majority of your chair winning efforts will be face to face in a salon. There could be a few times you will need to email or attach these documents. It will be best if you save them in a .pdf format to make it easiest for everyone to open. 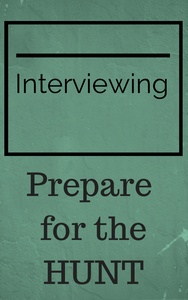 In Interviewing Techniques we talked about going into salons to apply for a position. There will be times that you get the opportunity to meet the manager and times when you won't. It's very important that your credentials end up in the hands of the salon manager. You don't want it lost in the trash before the manager gets a glimpse at how awesome you are! But when she receives your resume you want her to have a good idea what you are about. The resume will provide a lot of important information but won't give her the fuller picture of where you are professionally and what it is, exactly, you are looking for. All of your pertinent information should be laid out nicely so she doesn't have to wonder or investigate further. Your hair stylist cover letter is going to give her a better feel for your personality without the benefit of meeting you yet. DO..........let your personality show through your words. You could begin with a powerful quote that hints at who you are. Or you could state an observation about the hair industry, a direction you see business moving. DO..........use your creativity. Cover letters are boring by nature. But you are a creative stylist and can think of some way to jazz it up a bit! This is a hair stylist cover letter so the rules aren't so strict as in the corporate world. DO..........keep it short, like half a page. DO..........keep it to the point. If you are just starting your beauty career it's ok to say so. You can't hide it so don't even try. State how even though you are beginning your beauty career you are more than prepared to get started in the salon. Let them know you are hungry for knowledge and ready to fully commit yourself to a salon. Help them "feel" your enthusiasm for the industry and "feel" how you could be an asset to their team. DO..........describe your job experience that relates to salon life, like customer service, consultations, sales. 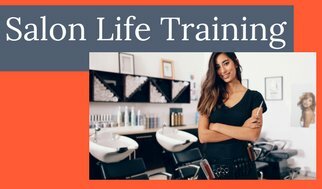 DO..........tell them how your unique skills or traits will benefit their salon. What can you do for them?? Think about that and lay it out into a short, to the point sentence. DO..........include your address, phone number and email address. DO..........close by thanking them for their consideration and say you will be contacting them within a few days. Do you think she will know you now when you call? Yep, I do. DON'T..........re-hash your resume in paragraph form. DON'T..........address it to a generic person. In fact, don't address it at all. Just jump right into it! 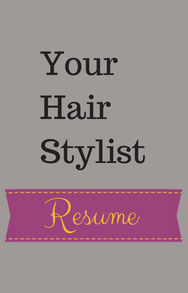 You will be using the same hair stylist cover letter at many salons. DON'T..........date it. It's really not necessary unless you are applying for a "business" job where the posting date is relevant. This is a generic letter to be attached to your resume and references when hitting the streets looking for a new job. God called me to be a hairstylist. It’s in my blood. It’s who I am. I just took my State Board Exam and am now a licensed cosmetologist. I am presently looking for a salon that wants to invest in a new professional that has an undying passion for the hair industry. My previous positions have taught me sales and superior customer service. I excel in both. I am hoping for the opportunity to meet with you and show you how I can be an asset to your salon. Thank you for considering me as a new stylist. I look forward to speaking with you soon. You will be hearing from me within a few days.